Remembering Jim Morrison’s birth and John Lennon’s death. Rest in peace, brothers. Your energies and ideas are still very much needed here on earth. You have to hand it to the Doors’ drummer John Densmore: For over 40 years he’s refused to cave-in to requests from advertisers to use his band’s music in commercials when artists of more stature have not hesitated to compromise. So why has this drummer (largely regarded to be a rock band’s low man) managed to stay so hardline and true when it comes to decision-making? “You know a long time ago Jim Morrison kinda blew up at us because we were considering ‘C’mon Buick light my fire…’ Because the dough looked good and we were young. And Jim didn’t primarily write that song, and I thought God, he cares about the catalog, what we represent in general, the whole thing. And he’s dead. And I’m not. So I’m not gonna forget that,” said Densmore. His most recent book, The Doors: Unhinged, chronicles his battle with his former bandmates for the rights to the Doors name and his efforts to keep their musical legacy clean, while serving as the drummer’s meditation on greed—how it impairs people and society. 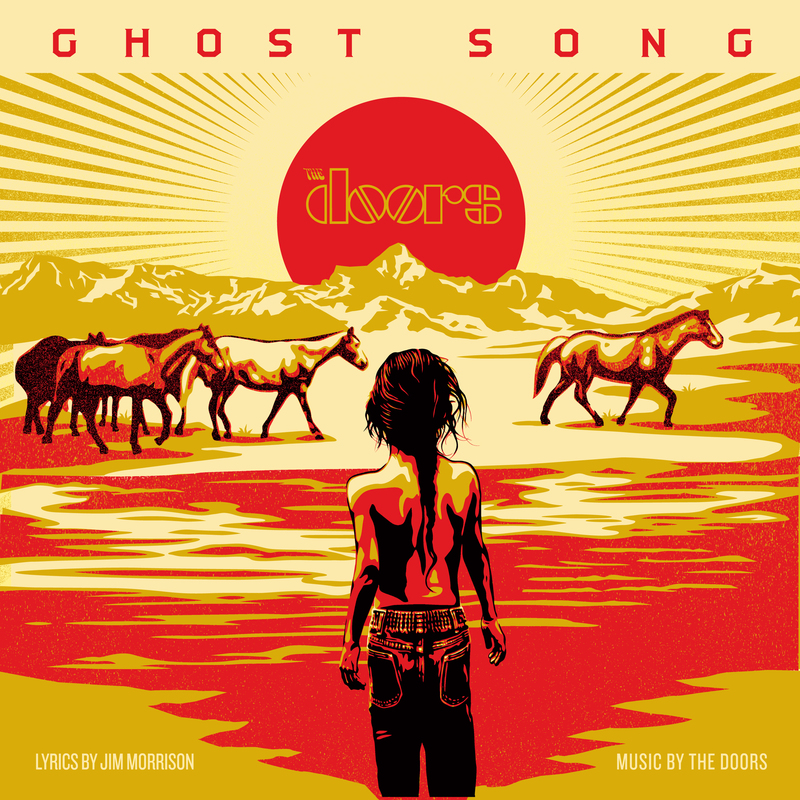 In a world filled with clutter, contradiction, and compromise, this past Black Friday, the Doors issued a limited edition single of “Ghost Song” b/w “Drums,” its sleeve designed by Shepard Fairey. “Ghost Song” is of course plucked from Morrison’s poetry, the one that nods to Indians…scattered on dawn’s highway, bleeding… “Drums” is a composition by Peter La Farge recorded by Densmore for Rare Breed, a tribute to the songs of La Farge (first popularized when Johnny Cash cut them on his 1964 Native American-themed album, Bitter Tears). Both Fairey and Densmore advocated staying out of stores on Friday, but for those who ignored the boycott (protesting over-consumption and the shooting of Mike Brown) and just couldn’t resist shopping, proceeds of their Doors purchase went to the Honor the Treaties organization which funds collaborations between Native artists and Native advocacy groups. Again, you can thank Densmore for that. 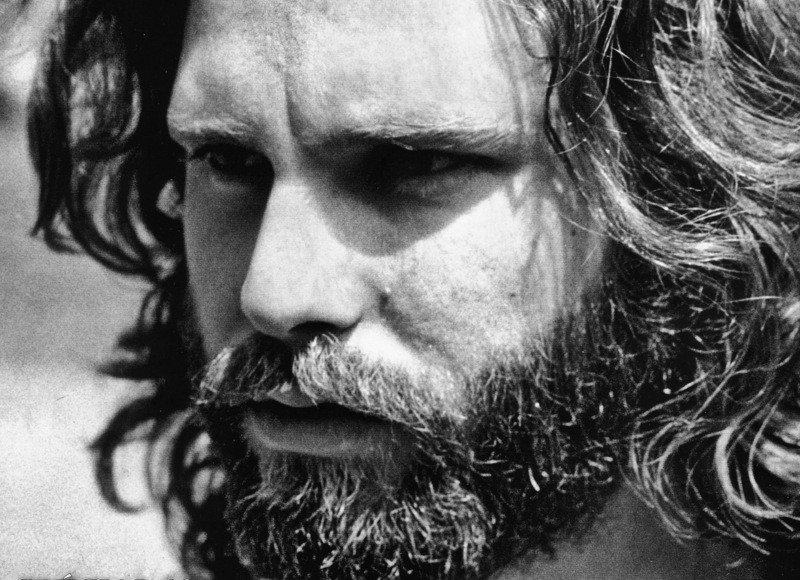 So when people ask me, as they often do, why I should want to write a book about Jim Morrison and the Doors, I tell them there is more to the band than its singer’s alcoholism and “Light My Fire.” In fact, there is a deep well of influence from which the band has drawn, though it generally remains hidden from view. Tonight at the Balboa Theatre in San Francisco, I will be noting the publication of my book Shaman’s Blues which delves into some of those influences by introducing the Doors documentary When You’re Strange (2009), directed by Tom DiCillo. Both the film and the book are additions to an already healthy pile of Doors-related material on view and for sale—it is arguable whether the world needs more of the same. And yet these two 21st century Doors artifacts drive home a similar point: Here is a band that succeeded where its peers and contemporary artists have failed to hold the line: They chose not to sell-out. That’s something worth remembering, documenting, and celebrating. Bob Neuwirth is a character in the secret history of rock ‘n’ roll. In 2011, on the occasion of a retrospective of his paintings showing in LA, I seized a rare opportunity to interview him for Crawdaddy! and got a few words on the state of the 21st Century’s art and music. 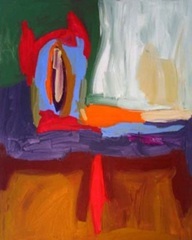 “I think it was Matisse who said artists should have their tongues cut out,” says Bob Neuwirth. As a visual artist and songwriter, his large abstract canvases are enjoyed by collectors, while his solo singer-songwriter albums Back to the Front and 99 Monkeys are appreciated by connoisseurs of the form. Neuwirth has also played a unique role in the lives of his fellow artists. 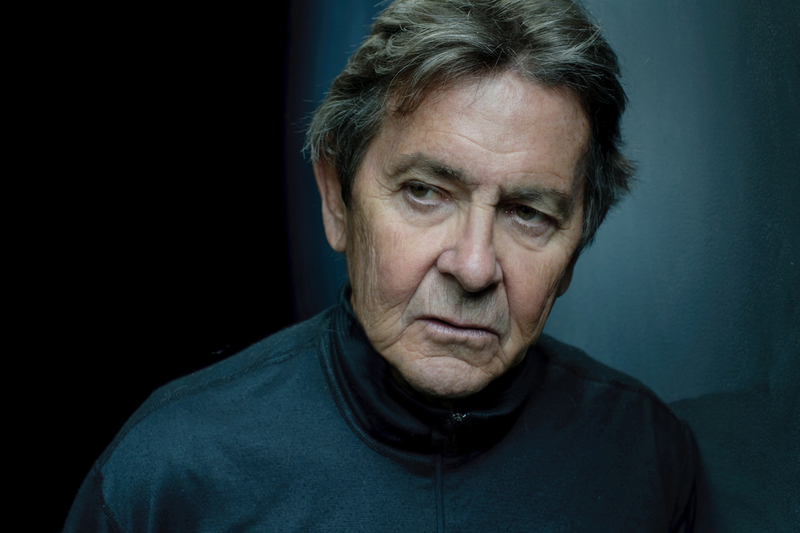 A great teller of tales, as opposed to a tale-teller, he’s served as an ear to friends in the arts for five decades now; as a catalyst to epic songs, he’s lived the moments we read about in history books. “Art is everywhere,” explains Neuwirth. Though to recognize it, “It takes a different set of eyes. If it’s music, it’s a different set of ears…Just because something is reproduced in multiples doesn’t make it good,” he says.“Turn on the radio. What you hear on the radio is for people who aren’t really listening,” he says. If some of what Neuwirth is rapping sounds as cryptic as a zen koan, it’s because he’s earned the right to wax on; he’s pulled-off the great American hat trick of living an artist’s life while remaining just under the radar of massive success. An original hipster—back when it was still cool to be cool—his tales of beatnik glory took him from Boston’s Back Bay, hanging out with folk guitarist Sandy Bull, to checking into art school (“but not for long,” as he sings in his semi-autobiographical song, “Akron,” the rubber city from which he ran away). From Boston it was on to busking in Paris with Ramblin’ Jack Elliott; from there, it was to Berkeley where he developed his abstract-expressionist painting and tried winging it as a folksinger who “couldn’t sing and couldn’t play,” he says. 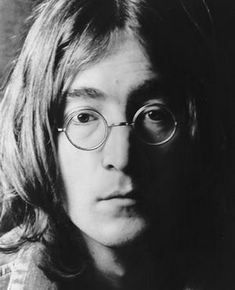 In his time, he was insulted by Lenny Bruce, kissed on the mouth by Miles Davis, and invited to meet the Beatles while on tour with Bob Dylan in England, a trip he took in exchange for art supplies. “He said I’ll give you a leather jacket and all the canvas you can paint on,” remembers Neuwirth of the deal with Dylan. The resulting tour was documented in D.A. Pennebaker’s milestone rock documentaries, Don’t Look Back and the follow-up, Eat the Document, which Neuwirth also had a hand in technically assisting. He remained a confidante of Dylan’s (he was there when they switched on the electricity at Newport, and was also invited on board the Rolling Thunder Revue). He’s been a compadre to Kris Kristofferson, a friend to Janis Joplin (he co-wrote “Mercedes Benz”), a companion to Jim Morrison and a filmmaker for the Doors. In the ’70s Neuwirth moved on to pre-punk New York and the Max’s Kansas City scene, a legendary hanging place for visual artists. He brought in songwriters like Willie Nelson and Waylon Jennings, and contributed to the making of the music there as he gathered more fuel for his great untold stories of rock’n’roll. “Then the New York Dolls showed up, and that was pretty much it,” he says of the displacement of the folky, singer-songwriters from the scene. But Neuwirth also had a hand in the changing of the guard when he advised one of the club’s regulars, Patti Smith, to turn her poems into some songs: “Next time I see you I want a song out of you,” is how Smith remembered his encouragement in her autobiography, Just Kids. Going on to collaborate with John Cale on The Last Day on Earth, a musical theater piece concerning the apocalypse, and working on projects that took him from Cuba (Havana Midnight) to Appalachia (Down From the Mountain), Neuwirth remained in the orbit of collaboration with musicians and artists of all stripes. There are plenty more stories where these came from, though between his brushes with greatness, Neuwirth stayed devoted to his own art, attempting to collage and paint his own masterpiece. Bumping around from studio to studio, he lived in a rat-infested loft formerly occupied by jazzman Eric Dolphy. But New York and the art scene was changing. The roads for struggling artists to take gradually began to close down and the art and music inspired by the ideas that emerged in the ‘60s and ‘70s were subsumed into a new age of mass consumerism. Could Neuwirth imagine the culture returning to a time when artists and musicians held as much influence as 15 minutes of fame does today? “In the 21st Century, everyone thinks they’re an artist,” he says, “But trying to do anything good is harder than it looks. There’s lots of good around but that doesn’t make it excellent and it doesn’t make it art. Someone actually just said to me that they thought banking was an art,” he says. Morrison’s twist on the subject of power, his credibility as an outlaw street poet, and the Doors’ deep grooves would eventually weave their ways into the rebel music of the next generation and beyond, from punk rock to hip hop. Like Morrison at his finest, hip hop artists tell stories, some real, others fantastical, born from urban legend and rooted in folk and oral tradition. Hip hop’s more conscious artists seek to shine a light on societal ills, and work toward changing and correcting them; many have paid a price for their points of view by becoming ostracized from the mainstream or hunted by law enforcement. Like the bluesmen and rebel poets before him, Morrison shall remain a touchstone for the those who work in the tradition of prophetic and poetic verse, though his impact on hip hop, remains largely overlooked and under-explored. The Cactus Album by 3rd Bass was an early example of the Doors’ embrace by hip hop artists (samples of “Peace Frog” and An American Prayer were used for its Bomb Squad-produced tracks in 1989). Since that early appropriation, DJs, producers, and emcees continue to pay homage with samples, mash-ups, and even covers (Snoop Dogg played with “dog without a bone,” in his own “Riders on the Storm”); there would likely be even more were the Doors not extremely protective of its legacy and cautious of approving tracks. “I’m the main spoiler in that area,” admits Densmore. He was however, willing to make a big exception. In 2001, the Doors’ music made a massive leap into hip hop consciousness when producer Kanye West pulled a sample of “Five to One” to create the music bed for “Takeover” by Jay-Z. Conceived as a dis of fellow rapper Nas, “Takeover” launched a rap battle royale and series of answer songs and copycat tracks. “He sent me…a letter, explaining how what they were trying to do was what we were trying to do in the ‘60s, talk about social change, and I went, ‘Wow, and I got educated,” said Densmore who has done his best to maintain the integrity of the Doors’ catalog by holding out on commercial uses. Jim Morrison died on July 3, 1970 in Paris, France. Largely estranged from his bandmates, family and friends who were in the midst of the US Fourth of July weekend, final arrangements for his burial at the Père Lachaise Cemetary were postponed until July 7. “He wrote me a note to say we would make art together, and we would make it with or without the rest of the world,” writes Patti Smith of Robert Mapplethorpe in Just Kids, her memoir of their lives and great love. Concerning their time as young artists discovering New York City and themselves in the late ‘60s and early ‘70s, not only would both of them make art together, they would eventually become nothing short of internationally recognized, particularly among artists, freethinkers, and members of their blank generation. But while Mapplethorpe’s life was cut short by AIDS in 1989, Smith lived on to keep the fire of rock’s poetic origins alight, Mapplethorpe’s influence on her inseparable from the origin of inspiration in her art and life. Without his prodding—his love—it’s quite possible that an entirely different Patti Smith than the one we know would have emerged. 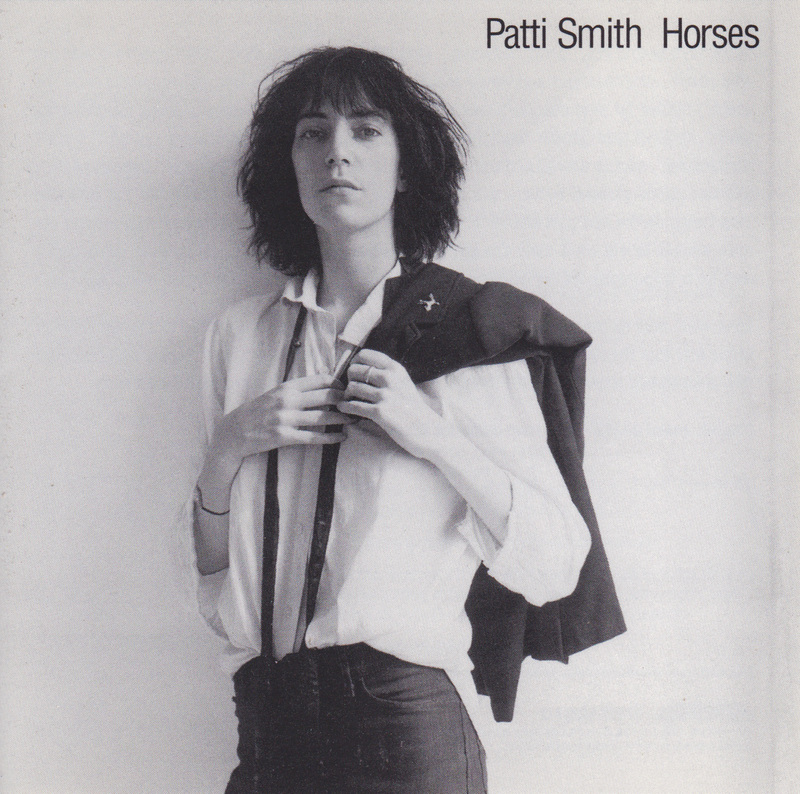 In Just Kids, Smith reveals Mapplethorpe’s commitment to art, his companionship, and his collaboration in the years leading up to her debut album Horses was invaluable to its creation: Not only did he capture the image of the poet/rock star-to-be on its cover, but it was he who first encouraged her to sing. Produced (reportedly with some difficulty) by John Cale and performed by the Patti Smith Group (with songs written mostly by Smith and co-writers Tom Verlaine, Allen Lanier, and members of her group, specifically Lenny Kaye), Horses launched at least a hundred punk bands, if not a generation of kids with punk attitude, and it remains fully alive today. Infused with the spirit of Smith’s dead poet/rock ‘n’ roll heroes—particularly Arthur Rimbaud, the libertine poet whose spirit she’s kept moving through rock ‘n’ roll—the first word of the first song is “Jesus,” as Smith cleverly fuses her own invocation to Van Morrison, proclaiming rock ‘n’ roll “Gloria: In Excelsis Deo.” Whether intertwined with the Catholicism of Mapplethorpe’s youth or with Rimbaud’s travels to Ethiopia and his relationship to Rastafari, Smith made bold statements, particularly for a young woman who claimed to be shy by nature; she summoned the spirits of two men named James (Hendrix and Morrison) with three Bobs (Marley, Dylan, and Neuwirth) or four if you count Mapplethorpe, and her own strong desire to merge poetry with performing rock ‘n’ roll. “I felt, watching Jim Morrison, that I could do that. I can’t say why I thought this… yet, I harbored that conceit,” she writes in Just Kids. Her connection with Hendrix was slightly more intimate: She was invited to the opening of his recording studio, Electric Lady. “I was excited to go. I put on my straw hat and walked downtown, but when I got there, I couldn’t bring myself to go in,” she writes. “By chance, Jimi Hendrix came up the stairs and found me sitting there like some hick wallflower and grinned.” He talked to Patti, revealing that he didn’t like parties either. “He spent a little time with me on the stairs and told me his vision of what he wanted to do with the studio. He dreamed of amassing musicians from all over the world in Woodstock and they would sit in a field in a circle and play and play… Eventually, they would record this abstract universal language of music in his new studio. ‘The language of peace. You dig?’ I did.” And then he was off, to catch a plane to England, from which he never returned. Smith read the news of his death about a month later while on a trip to Paris—on one of her rare respites from her gigs as a bookstore clerk/rough living artist/caretaker of Robert. In New York, she happened to meet singer-songwriter and painter Bob Neuwirth in a coffee shop (she recognized him from the Dylan documentary, Don’t Look Back), and becomes just a little more inspired to try her hand at turning her poems into songs. “Next time I see you I want a song out of you,’ he said as we exited the bar,” she writes. But when she reports to Mapplethorpe of meeting Neuwirth, the photographer snaps back, “Maybe he’ll be the one to get you to sing, but always remember who wanted you to sing first.” Mapplethorpe doesn’t approve of Smith’s Marley-inspired pot smoking either, but the pair go on to spark up some sacred herb together, in the name of enhancing creativity. Trying on her voice, reading her poetry aloud, Smith dove into performance mostly without Robert’s help, as he was moving deeper into the world of street hustling (this time it’s Patti who is disapproving). She reads for unappreciative fans of the New York Dolls and gets heckled by drunks before finding her sea legs and accompanists—first guitarist Lenny Kaye, and then Richard Sohl on piano. But when it’s time to record a single, it’s Robert who pays for the studio time at Electric Lady. For the recording, they choose “Hey Joe”, a song made famous by Hendrix. While Jimi closed his set at Woodstock with it, Smith and co. use it to usher in the era of the punk rock seven-inch. Recording at Jimi’s place, “I felt a real sense of duty,” she told the Observer in 2005. “I was very conscious that I was getting to do something that he didn’t.” Though Horses’ de facto title track “Land” was famously inspired by William Burroughs’ The Wild Boys, the lesser-acknowledged last third—“La Mer (de)”—makes reference to Jimi (“In the sheets there was a man”), as well as Rimbaud. “Elegie”, the final song on Horses, is also for Hendrix: It was recorded on September 18th, the anniversary of his death. “I think it’s sad, just too bad, that all our friends can’t be with us today,” she wrote, the words closely echoing those from Jimi’s “Well, it’s too bad that our friends can’t be with us today,” from “1983… (A Merman I Should Turn to Be)” from Electric Ladyland. As for fellow inspirer and rock star ghost Jim Morrison, “Break It Up” was based on a dream Smith had about him covered in plaster—like a statue. The making of Smith’s own image as a rock star poet was yet another Mapplethorpe collaboration. “You should take your own photographs,” she once told him, and eventually he turned his attention away from jewelry, objects, and installations and towards photography. For the Horses cover Mapplethorpe knew exactly what he wanted, and so did Smith: “I flung the jacket over my shoulder, Frank Sinatra style; I was full of references,” she writes. Though still developing as a photographer, Mapplethorpe was clear that he would work only in shades of black and white. Illuminated only by natural light, he got the image of Patti in 12 shots. “Patti, you got famous before me,” said Mapplethrope in 1978 as he and Smith walked the streets of Greenwich Village. “Because the Night”, the song Smith wrote with Bruce Springsteen, blared from a series of storefront radios, “fulfilling Robert’s dream that I would one day have a hit record,” Smith writes. The song rose to lucky 13 on the pop charts, but Smith was burning out on the biz before she’d barely gotten stared in it. Following the recording of the album Wave, produced by her friend Todd Rundgren and again cover photographed by Mapplethorpe, she retreated from New York and rock to live as a wife and mother in Detroit, where her husband, Fred “Sonic” Smith of the MC5, hailed. But the hiatus didn’t really take, and by 1986, she was ready to make a comeback. With the encouragement of her husband, she called her old friend Robert to see if he would shoot a portrait for the album, Dream of Life; Mapplethorpe, who had become a major art star in the interim, took the photo of Patti as a 40th birthday gift. But the reunion between artists was fated to be brief, and the sessions that took place yielded some of his final photos. Mapplethorpe’s patron and partner Sam Wagstaff succumbed to AIDS during the making of the album (Smith and Smith recorded “Paths That Cross” in Wagstaff’s memory). She had sung “The Jackson Song” (for the Smiths’ son) in which Mapplethorpe is also referenced (“little blue star that offers light”) to Wagstaff as a lullaby in his final days. Recording for Dream of Life continued, and she wrote “Wild Leaves” for Robert on the occasion of his 41st birthday. Somewhere in this mix, Smith and Smith also penned an enduring protest anthem, “People Have the Power”—the kind of song people sing when they need to raise a little spirit to keep on keeping on. 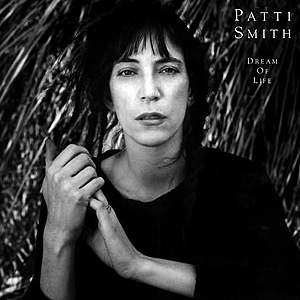 Dream of Life was finally released in June of 1988, 10 years after the success of “Because the Night.” Mapplethorpe died in March of 1989, and Smith wrote “Memorial Tribute” (“little emerald soul, little emerald eye”) for him (it appears on the 1993 No Alternative AIDS awareness compilation). In 1994, Fred “Sonic” Smith died, followed by the death of Patti Smith’s brother Todd and her bandmate Richard Sohl. Soon to turn 50, she returned to Electric Lady for the recording of the 1996 album Gone Again, a tribute to her dead friends and loved ones. Kurt Cobain was mourned (“About a Boy”) and soon to be gone Jeff Buckley sang on “Beneath the Southern Cross”, a song that survives as part of the Patti Smith Group’s concert repertoire. Following an eight year gap after Dream of Life, Gone Again, recorded in Fred’s memory, proved to be Smith’s real comeback. Now without Fred or Robert, she was supported as ever by guitarist Lenny Kaye and by new friend Oliver Ray, a young poet and guitarist who joined her band and photographed her. Michael Stipe (who had been inspired to become an artist himself upon hearing Horses) was also on board as a road friend when Bob Dylan invited her to tour with him. Back on the swing shift as a musician, there was no time to write the book she promised Robert on the day before he died that she would one day write. While Mapplethorpe depicted dark against light—and vice versa, his increasingly sexually explicit images landed him in much hot water. But there is something innocent in his early photograph of Smith that portends more about the new wave of rocker than words could have ever described at the time: Smith is an original and reverent, androgynous yet vulnerable, regular but inscrutable. 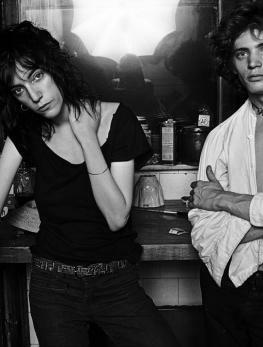 Mapplethorpe’s true image of her on Horses ripples through the contemporary persona who conducted the interviews for Just Kids: Patti Smith in black and white has her humble and “bravada” sides; the disheveled waif converges with the mensch in designer clothes. Open but reserved, she is a wizened poet who’s still girlish, gangly, and awkward—and still very much in love with art and life.